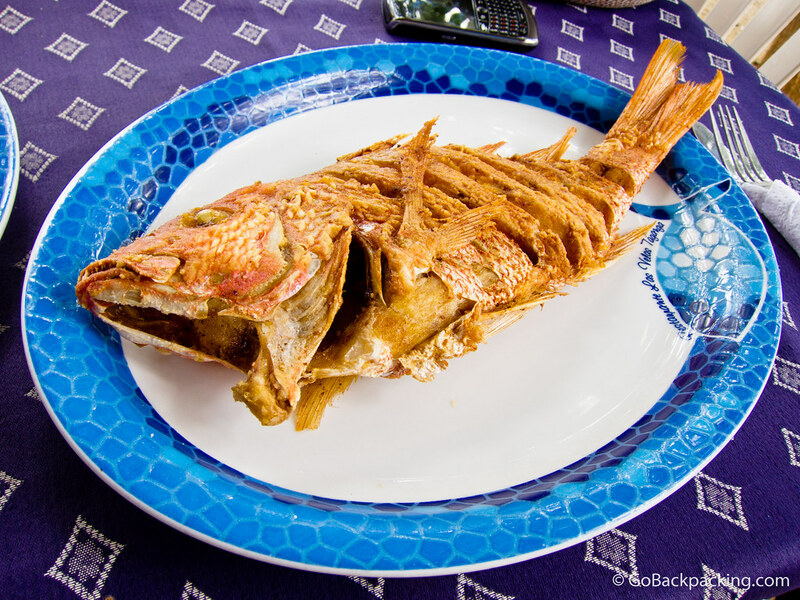 During my recent trip to Colombia's Caribbean coast, I enjoyed fresh fried pargo (red snapper) on several occasions. Every time I visit the coast, I'm reminded that there's more to Colombian food than arepas and empanadas. Pargo (red snapper) served on the beach in Taganga, Colombia. What kind of sauce (if any) is served with a deep fried fish like this in Colombia? I became a big fan of pargo/snapper on my trip to the coast. I ended up having it 3 times in 10 days. They serve it with fresh lime (like everything in Colombia). I think there were one or two fresh salsas (maybe a green and red), but I didn’t need either. It tasted fine on its own.